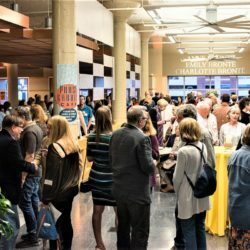 As the gourmet coffee trend continues to flourish, many coffee drinkers find themselves in search of their preferred taste selections. Whether the aroma of the brewed black fuel fills your home or the purchase warms your hand as you rush onward with your day; most have found tried-and-true favorites. 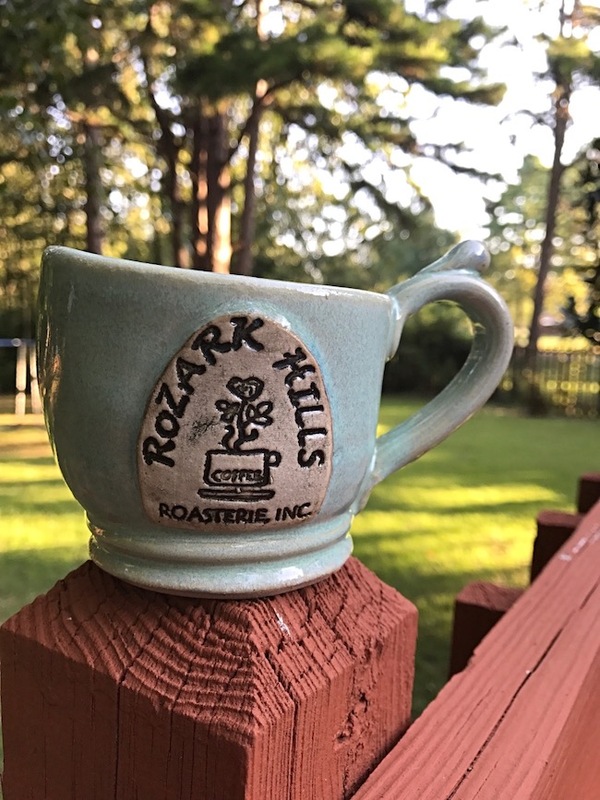 After numerous cups and trials, my own family discovered our most coveted source of coffee beans, Rozark Hills Coffee Roasterie in Rose Bud. On my most recent pursuit to refill my favorite coffee stash, I decided to go beyond my usual grocery stop and go to the source of the handcrafted beans. I wanted to see where my coveted cuppa joe originated, so off I went to visit RoZark. I met the owner, Rita Fox, and she welcomed me for an interview and tour of her roasterie. When I sat down with Ms. Fox, I had very little insight into the story behind the roasterie or how it landed in such a quaint location. And I found it to be one of the most intriguing backstories thus far. 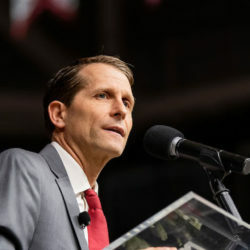 It all started in Seattle, Washington, where Rita’s father owned an industrial equipment business. Her father was able to fabricate just about anything if given the time to tinker. One day three men came to him with an old coffee roaster and laid a request before him. Her father was able to complete the task and refurbished, installed, and instructed the gentlemen how their roaster operated. 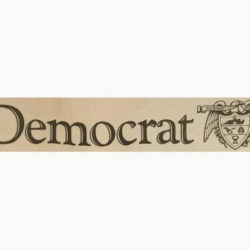 Those men, roasting their new specialty coffee when gourmet coffee was not quite a trend, went on to name their establishment Starbucks. As the trend grew, many individuals came to Rita’s father looking to refurbish or build various aspects of roasters. So, with the desire for gourmet coffee increasing, her dad adjusted his business to meet the demand. As time passed, her parents were ready to retire and travel. 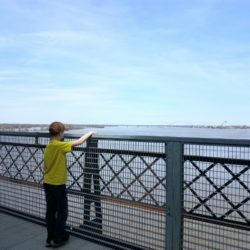 In their travels, Rita’s parents fell in love with Romance, Arkansas and decided to make it home. While visiting her family settled in Arkansas, Rita and her husband received a proposal. Despite retirement, Rita’s dad was ready for a new adventure. 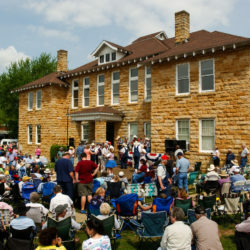 A few years and multiple twists and turns later, Rosebud became the home of RoZark Hills Coffee Roasterie in April 1997. As we transitioned to the warehouse, I quickly lost all my notions of being a coffee connoisseur. I thought grinding my own beans and using a French Press would classify me as an expert. Five minutes into my trip I realized just how little I know of the process behind my coffee. As I was looking at the equipment, we stopped at a tiny station, one I would have walked by without even a thought. She informed me this is the first stop on the journey to roasting quality coffee. 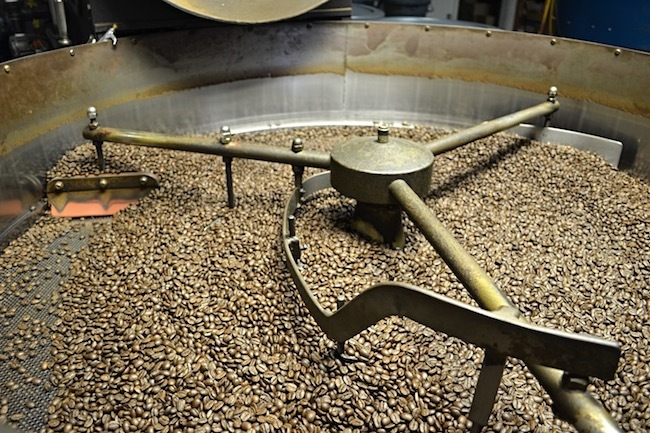 The station was known as the sample roasting area, a process which identifies what best accentuates the bean flavor or identifies any flaws. A small amount of beans is roasted and scored based on an SCAA (Specialty Coffee Association of America) scoresheet. This scoring system identifies various aspects such as acidity, balance, sweetness, and so on. In our discussion of the various types of beans, I realized not all are created equally. On each hand-sized sample are lot numbers which represent a specific group of farmers who harvested their beans on a particular day. After they discover which beans create the desired quality, they place an order with the broker with the specific lot number. Even something such as harvesting the beans on a different day will completely change the flavor of the entire roast, resulting in starting back on the drawing board. I could not thoroughly appreciate the knowledge Ms. Rita and her employees possess regarding beans and roasting. I had no idea what a “roaster” looked like, or the sizes, or the process until I stepped into the warehouse. 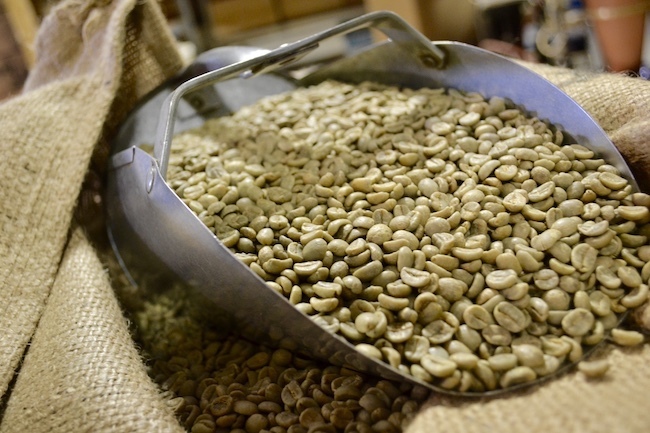 Despite the details of discovering each roast, the beans are roasted in bulk only when ordered by each customer. 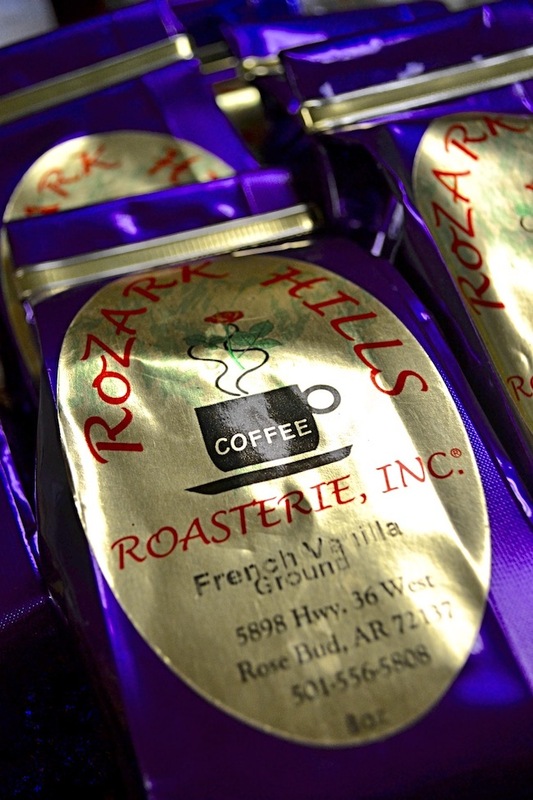 By roasting to order, RoZark maintains their most sought-after quality – freshness. Finally, once the beans have cooled, they can then be blended to create many different options, such as Roast Masters Blend, RoZark Espresso, or Italian Roast. Flavors can also be added to the various blends or varietals, depending on which accepts the flavors without interfering with the overall quality. 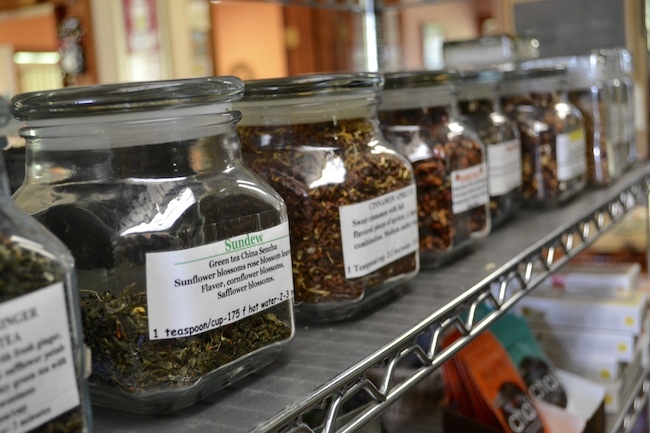 RoZark also offers a variety of hand-selected teas for you to add to your cups. Ms. Fox explained how they wanted to be as proud of the tea offerings as they are of the coffee; therefore, they have selected high-quality products. I have not personally tried them, but knowing the effort toward quality and freshness of their coffee, I am willing to bet their teas are quite wonderful. I could see why Ms. Fox loves her business so much. She gets to experiment with all the beautiful coffee, creating a form of art. Her employees are special, and her roasting process is unique. I can say that I have complained about the cost of my gourmet cuppa joe. But after seeing the effort put into the roasting process, I can happily sip at my favorite mug, knowing many hands have grown, crafted, and mastered what I have chosen to include in my morning time, or afternoon break. I am thankful I can fully appreciate my local roaster’s product, and possibly earn my self-proclaimed title of coffee connoisseur. Lydia Sartain, Your Local Dietitian, is a dietitian who desires to make healthy simple even for the fullest of schedules. As the owner of Sartain Nutrition, she understands busy makes healthy hard. Her website was formed to bring healthy to you with easy recipes, meal plans, and health coaching. Adding her blog seemed to be a natural fit, since she has always enjoyed writing and good stories. Her favorite people call her wife and mommy. She loves Jesus, a good cuppa’ joe, chatting, waking early, being outdoors, traveling with her family, daydreaming with her hubby, wrestling her boy, writing, teaching, planning and making recipes. Be sure to find her writing about all the good things in life on her blog at yourlocaldietitian.com.